Why Do I Need a Posture Corrector? ARE YOU STANDING LIKE THIS.. 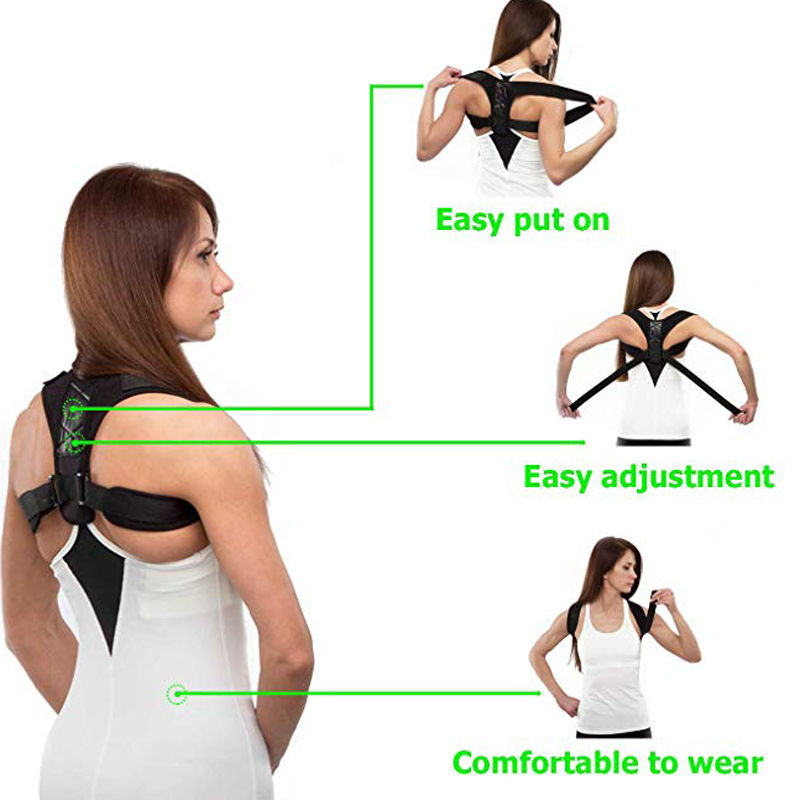 If so YOU need this posture corrector! Have an aching back? Neck always needing rubbed from being stiff? Correct posture goes beyond looks to over all health! 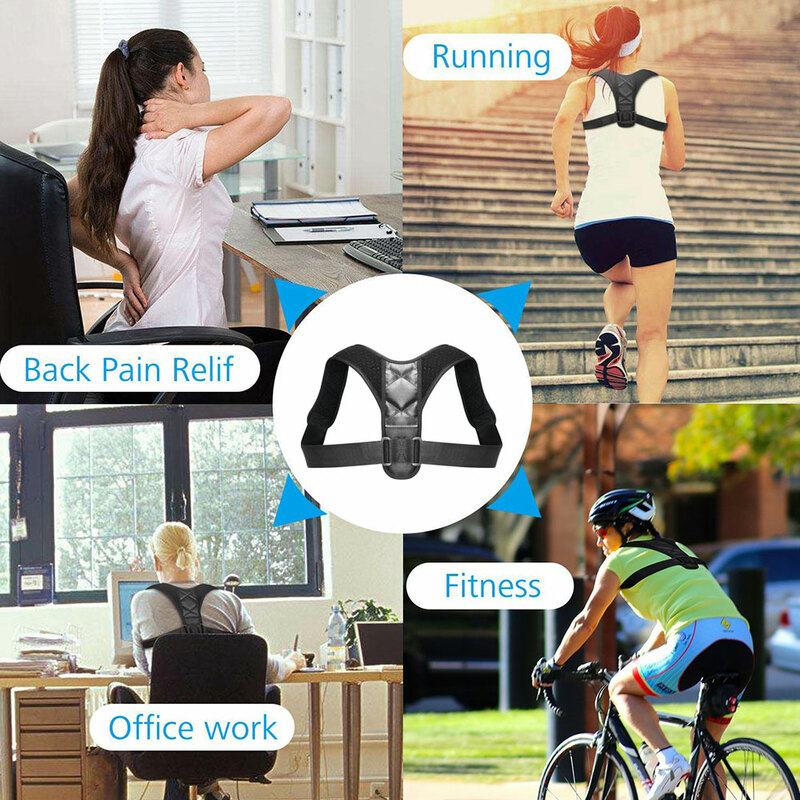 This posture corrector is a simple and fast way to get the relief and look of great posture. Better breathing- Research shows that poor posture negatively affects your ability to breathe deeply and fill your lungs. Slouching shortens the muscles at the front of your body and reduces your ability to breathe in fully. Standing up tall may actually improve your ability to bring in good old oxygen by as much as 30%. Look skinnier- Good posture can make you look up to 10 pounds thinner. Poor posture can create the appearance of a pot belly and a thicker middle. Stand or sit up tall, and lengthen your frame – the pounds distribute more evenly and make you look more slender. Back relief- Your body is designed to stand in a “neutral” position in which your pelvis, head, and torso are in a stacked position. Forward head, tilted hips, and overly curved spines put stress on muscles in ways they aren’t designed to endure. Over the long term, this stress causes pain, usually in your back or neck. When you have good posture, you use the muscles that support your spine properly. Plus, the bones, joints, ligaments, and other connective tissue also all cooperate to keep the entirety of your back feeling less strained and stressed. Boosted energy & happiness- Slouching takes work. Your muscles have to work harder when they’re in an unnatural position, which makes them fatigue faster. When you feel relaxed and happy, you naturally find an upright, open posture. This simple action can help you feel more optimistic. Optimal digestion- When you have good posture, your internal organs align well. That means less compression on your stomach, intestines, and liver, facilitating the free flow of food and digestive juices. A slouched posture inhibits the normal activity of your gastrointestinal system, which makes you vulnerable to digestive distress like constipation and GERD. Reduced headaches- Dropping your head and drooping your shoulders can create unnecessary tension that contributes to headaches. Research shows that people who have a posture featuring a forward head tend to have more headaches, and they last longer than people who have good posture. Limited Stock!! Due to high demand, we have very limited stock! To avoid disappointment get yours today! 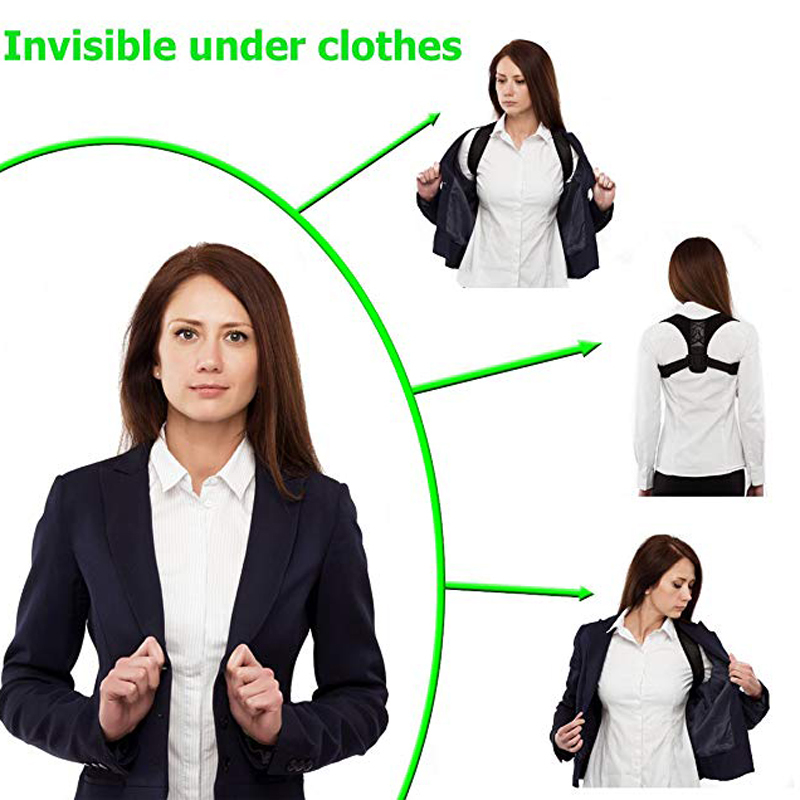 Posture corrector can be worn over or under clothing. It is adjustable to fit your individual body. Perfect for all areas of life! Hello. Received the parcel quality is excellent. Thank you. I'm very pleased. Arrived 14 days after placing order. I am 100 lbs. The adjustment is up to maximum. It is serving it's purpose. I could still slouch but a little bit but it really keeps my shoulders from drooping forward. I recommend it. Good thing. The back supports and does not allow slouch. The item arrived well packed, looks quality product. Comfortable and really useful! I'm happy to have it! Very good material quality price in relation. I recommend it to correct the back. Good harness. 5 stars. The goods came for 2 weeks. Packed in a bag on the buckle. Straightens the shoulders. You can adjust the length of the straps with velcro. If you pull, then under the hands a little presses. But if you straighten your back, it's fine. Thank you very much, very useful for working. I use it every day. Works so well and the fit is so perfect with its size! Quality is very good too! Recommended seller! shipping is quick! Thanks! Delivery to len. obl. 23 days, parcel tracked. The product fully corresponds to the description. Quality is good, the seams are smooth, durable. I did not find an unpleasant smell. It helps me to keep posture, after his removal, the body itself tries to maintain the shape. Very good quality, fast shipping, worth every penny you paid for. I'm very happy with my purchase!! The quality of the goods is excellent, fully corresponds to the description and photo. Almost comfortable in the armpits but the back straightens well. Belt received today, executed well, whether the result will be, i will write later. My son likes to sit in it with pleasure. Simple little thing, can also be worn as a fashion statement!